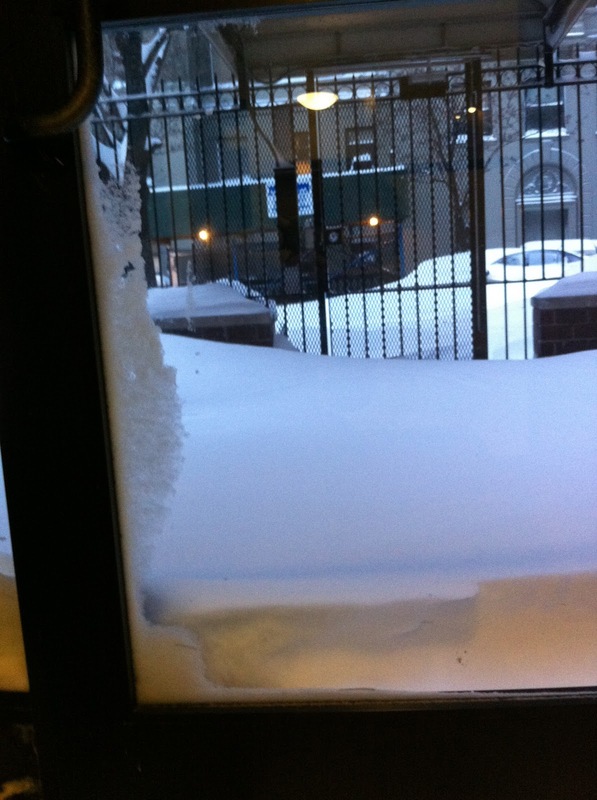 It’s hard to miss the snow in New York, even my mom reports back to me what they are reporting on the Today show. She’s seen the plow hit the car more times than I have! 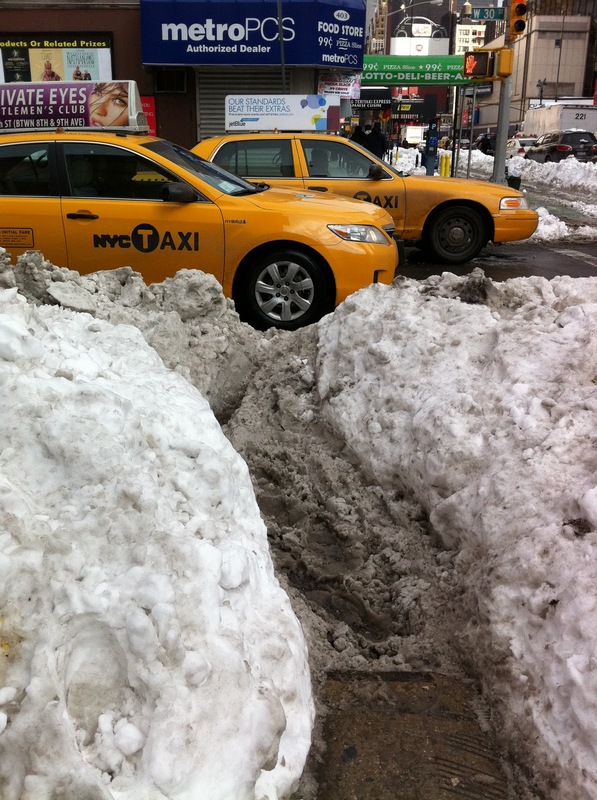 Queens is still unplowed, Brooklyn looked pretty bad too. It’s the delivery guys and garbage men who really deserve props. We don’t ever order in, but even I wanted to tip the guy in the elevator Monday night for venturing out on his bike to deliver food! 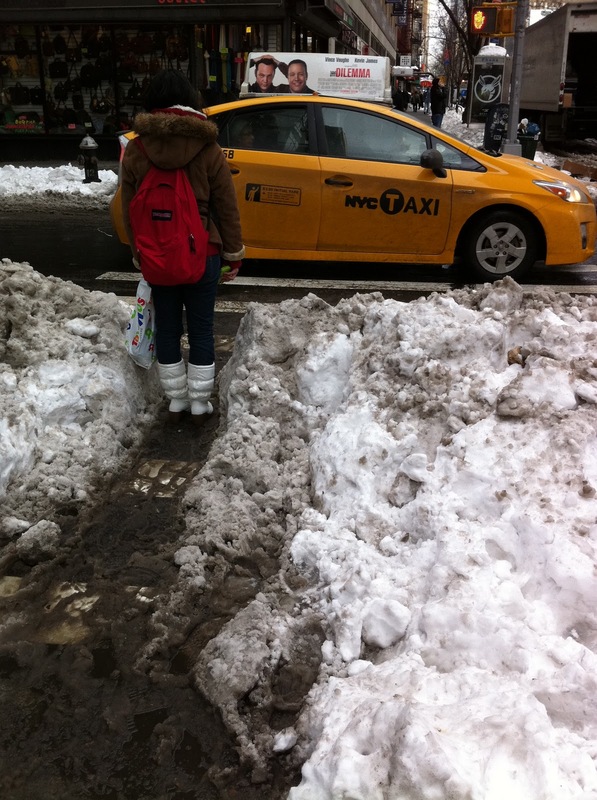 And those poor garbage men digging the trash out from UNDER the snow, off the top, and then digging a path to the curb. Day 1: This is about 1 pm on Sunday. I took Amtrak back early (the only train still available was at 9:40 am) and we ventured out to see the snow. I am glad I came back when I did, my friend Katie spent 4 hours on Metro North on Monday. From South Norwalk, CT (a 50 minute train ride normally). Day 2: And this is Monday morning. I was apparently the 1st person to venture out. 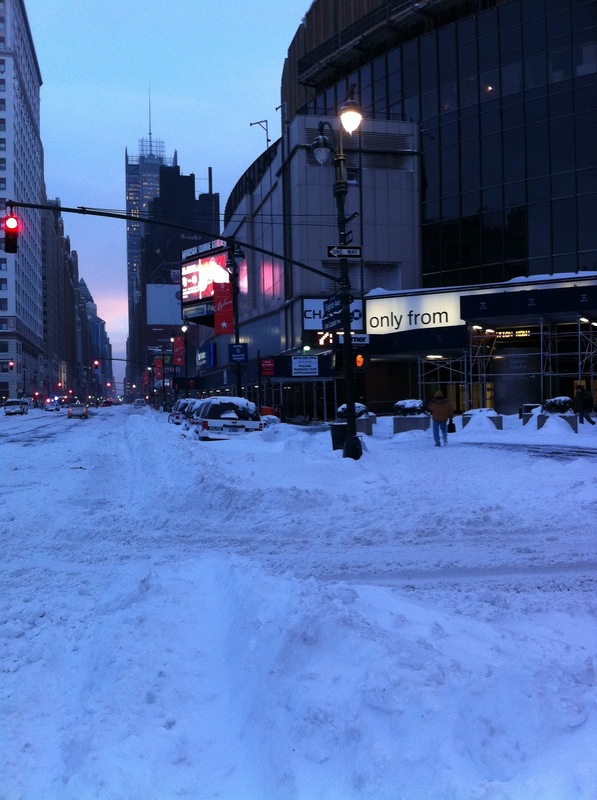 And the area around Madison Square Garden was not looking much better. I think I was one of the few actually heading into work. 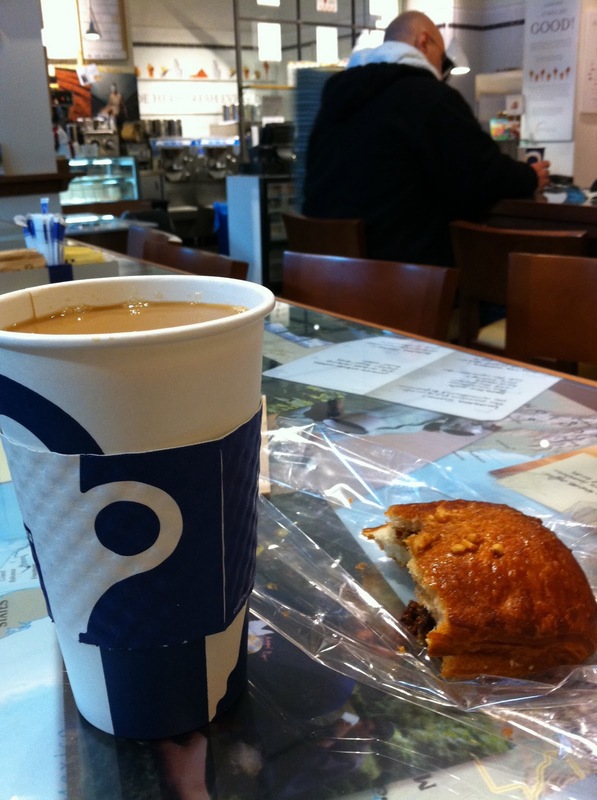 Day 4 (I missed Day 3): We ventured out for coffee and a pastry at Eataly. Enough people walking creates a path. Look at those boots: amateur! And this is probably the state my car would be in if I brought it back to New York. Still snow covered. Of course, not sure the parking lady would want to dig the snow out to even get my plate number to ticket me! 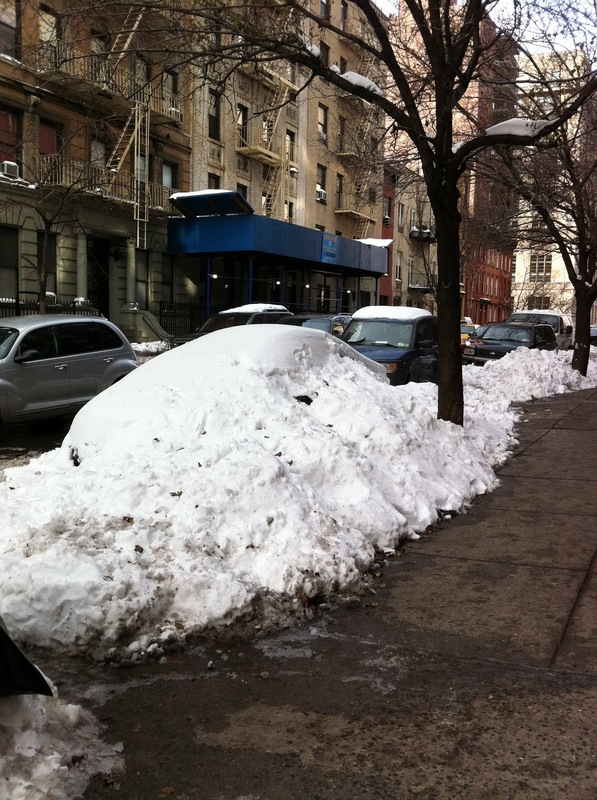 Luckily, the car is parked at home…where it can remain snow covered forever at this point (thank you Mom & Dad). As long as it’s not in New York! And it’s looking for a new owner as nice as the current one (just a small plug for my awesome 2005 beige Hyundai Elantra Hatchback). 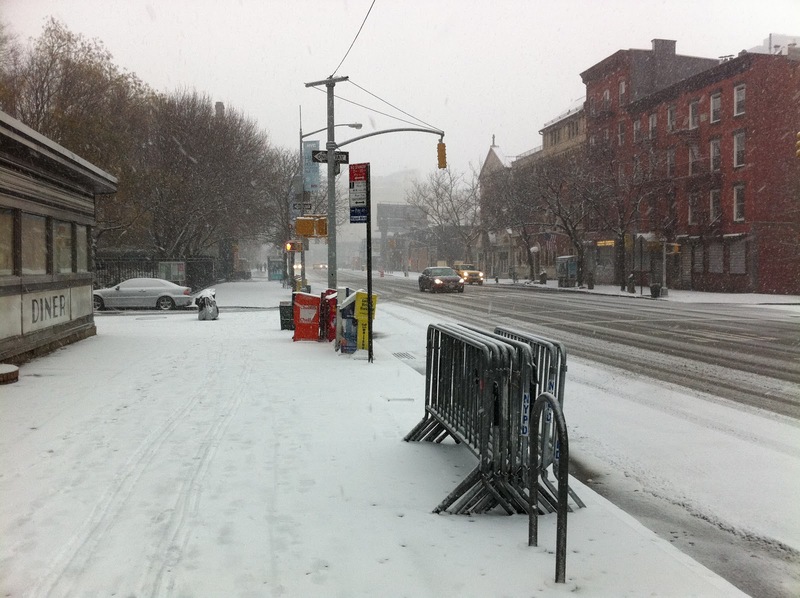 < Previous Almost White Christmas!